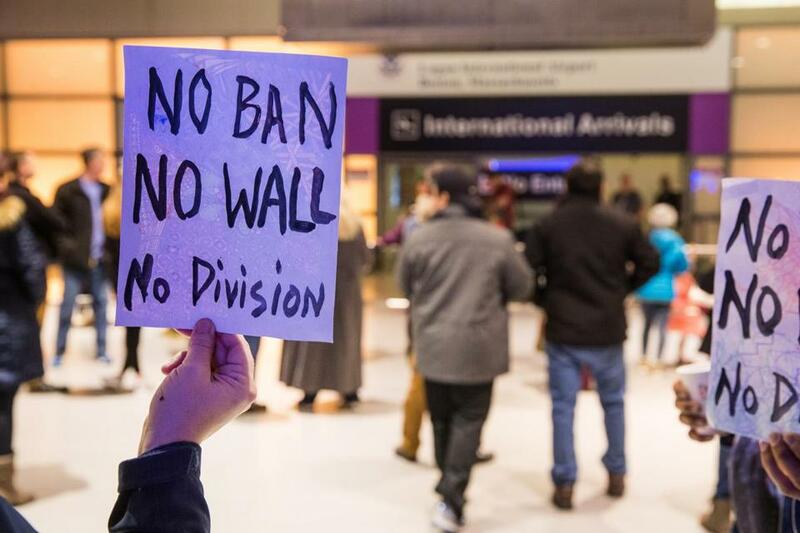 A protester held a sign that reads “No Ban No Wall No Division” at Boston Logan Airport’s Terminal E for international arrivals. 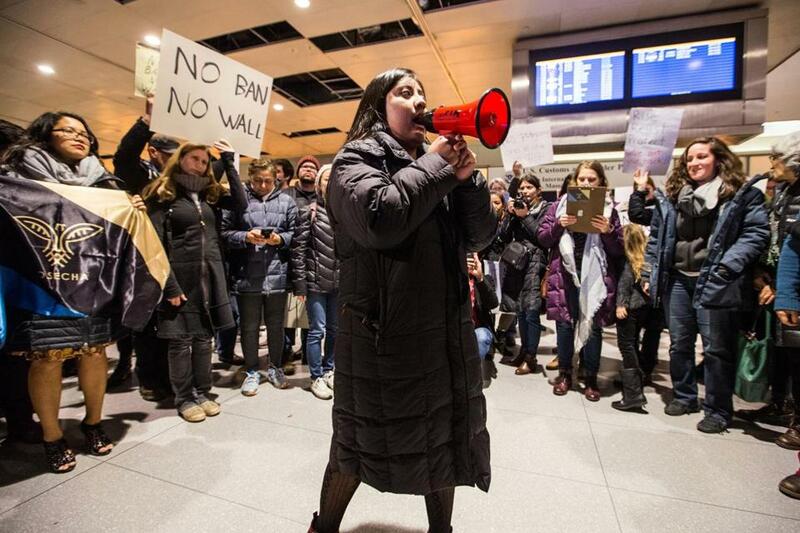 Catalina Santiago, 19, spoke in protest of the recent immigration bans at Boston Logan Airport's Terminal E for international arrivals. 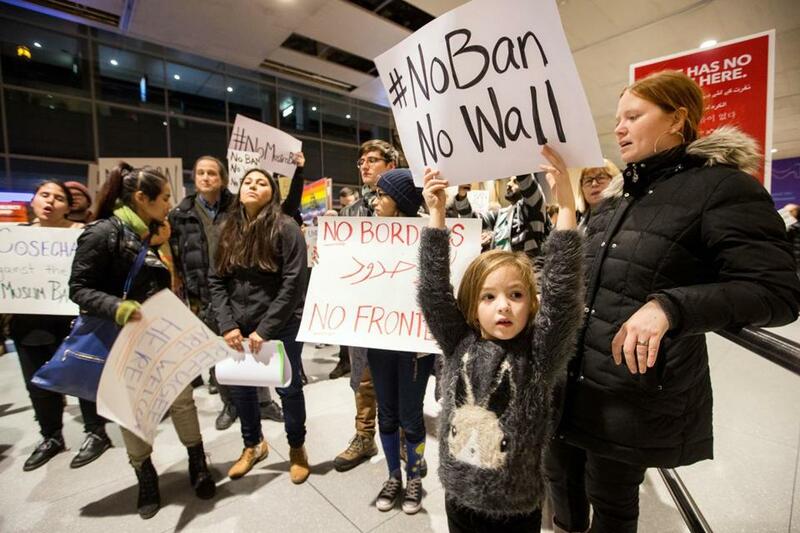 Devlin Doran, 6, and her mother Meghan Doran protested the recent immigration bans at Boston Logan Airport's Terminal E for international arrivals. 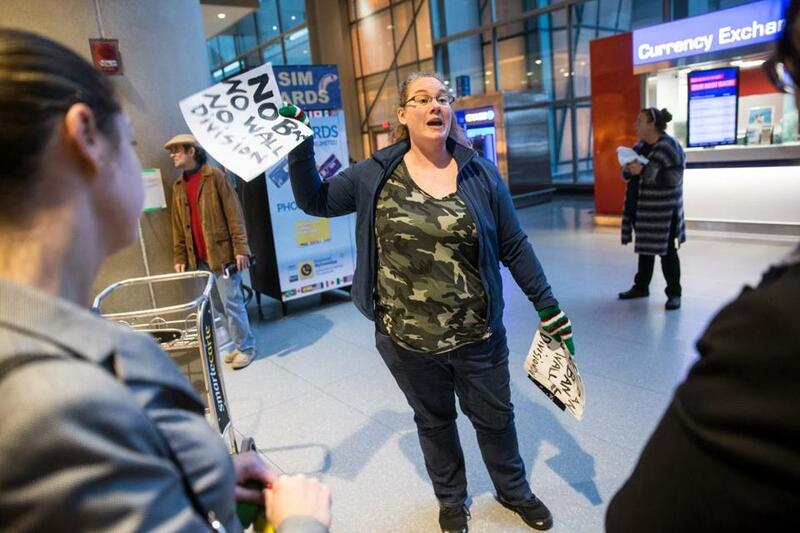 Protester Amanda Shepard passed out signs that read "No Ban No Wall No Division" at Boston Logan Airport. 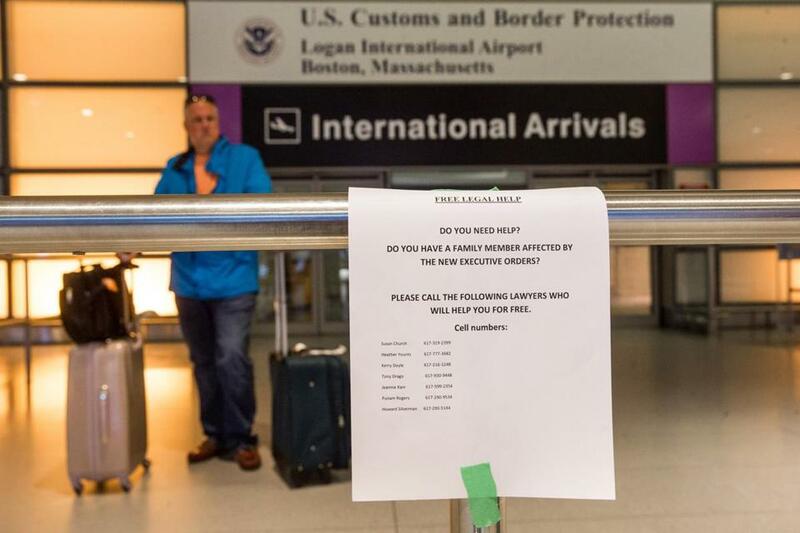 A flier offering free legal help for those affected by recent immigration changes. 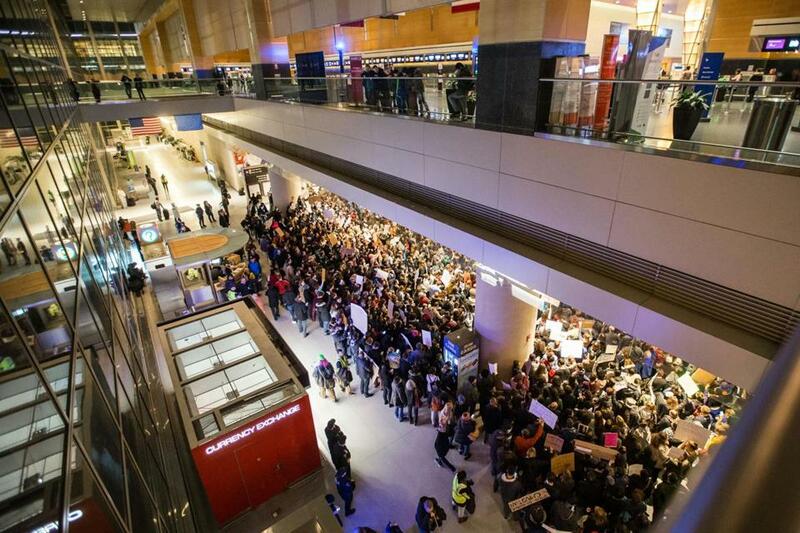 A large crowd protested the recent immigration bans at Boston Logan Airport's Terminal E for international arrivals. 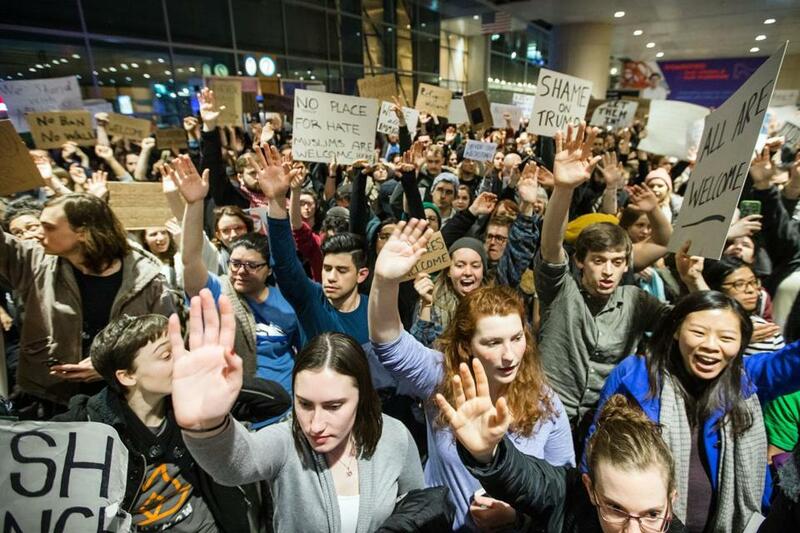 “It’s unbelievably unfair,” said immigration attorney Susan Church of Trump’s immigration order.